Raymond Briggs – How do you feel about Fairies? After Raymond Briggs left art college in 1957 he took his portfolio to Oxford University Press where he was asked by editor Mabel George 'How do you feel about fairies?' Biting his tongue and suppressing his art school cool he replied 'Yes, fairies, lovely'. 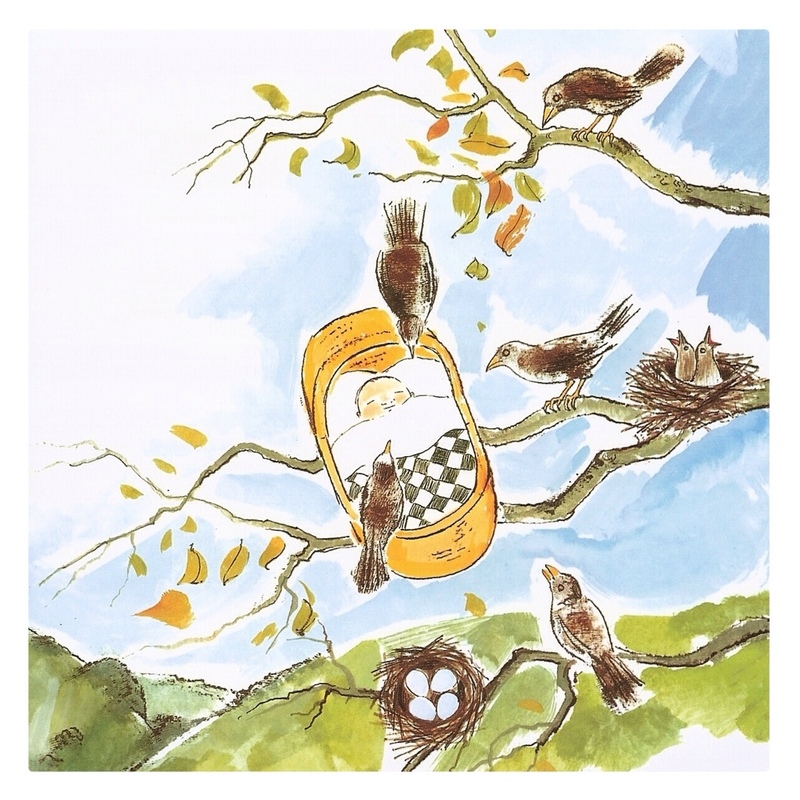 Nursery rhymes and fairy tales allowed Briggs to explore his full range of styles. 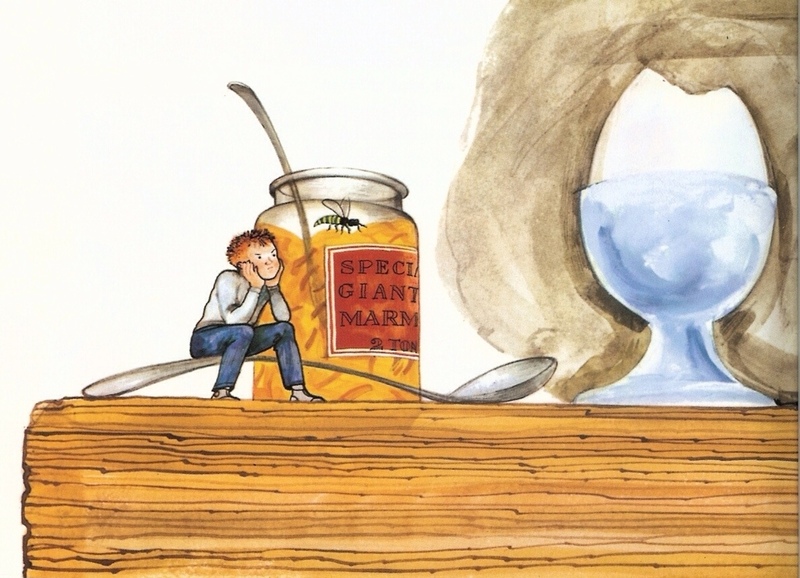 Beginning with Peter and the Piskies (1958), he went on to create thousands of illustrations in sprawling collections like The Mother Goose Treasury (1966), as well as offering his own take on the genre in Jim and the Beanstalk (1970). The story wittily updated the story to a modern day setting, although Briggs never really 'does' present day, preferring instead to depict a slightly anachronistic mid 20th century backdrop. It was a hugely original twist on Jack and the Beanstalk, imagining the giant in his decrepitude, with the young hero righting some of the wrongs dished out to him by the wicked Jack. 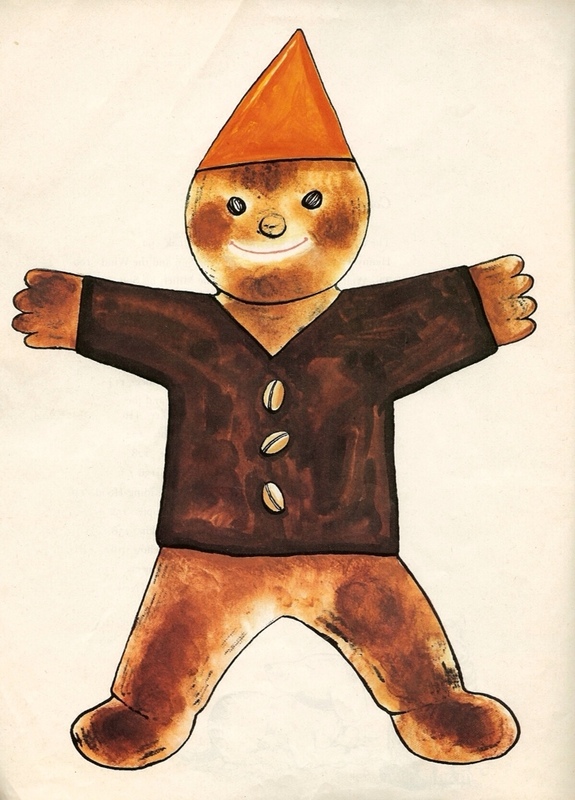 It was this book that really marked Briggs' arrival as a writer as well as illustrator and provided the model for the successful picture books that were to come. Father Christmas, Fungus and the Snowman all take an archetypal figure of the young imagination and subvert expectations of how they should behave. 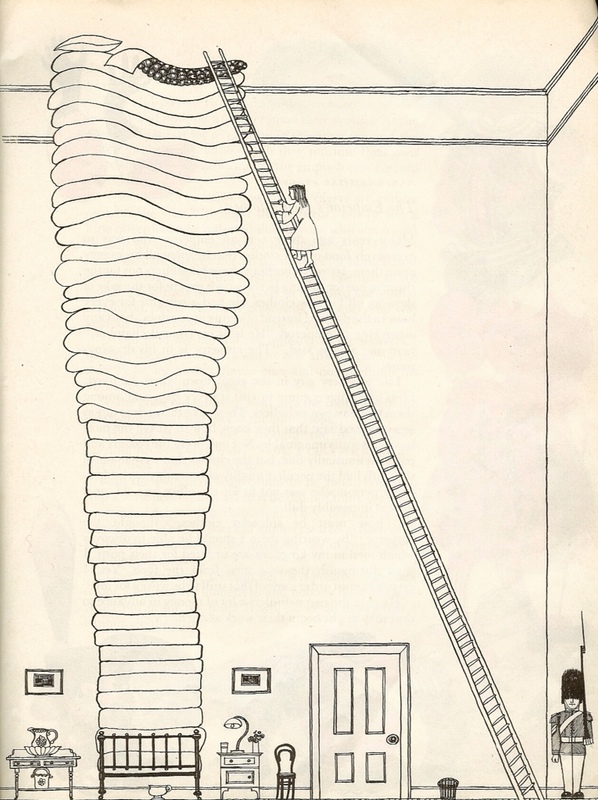 I love this picture – even more now that I get the ironic reference to the mass of nursery material he had published. 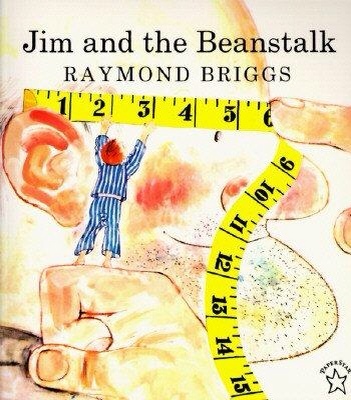 Having provided the giant with a new pair of glasses a bored looking Jim is read selections from a pile of the giant's favourite nursery books – mostly real Briggs titles. The author's massive labour is shrunk to nothing in the vast sausage fingers of the giant. 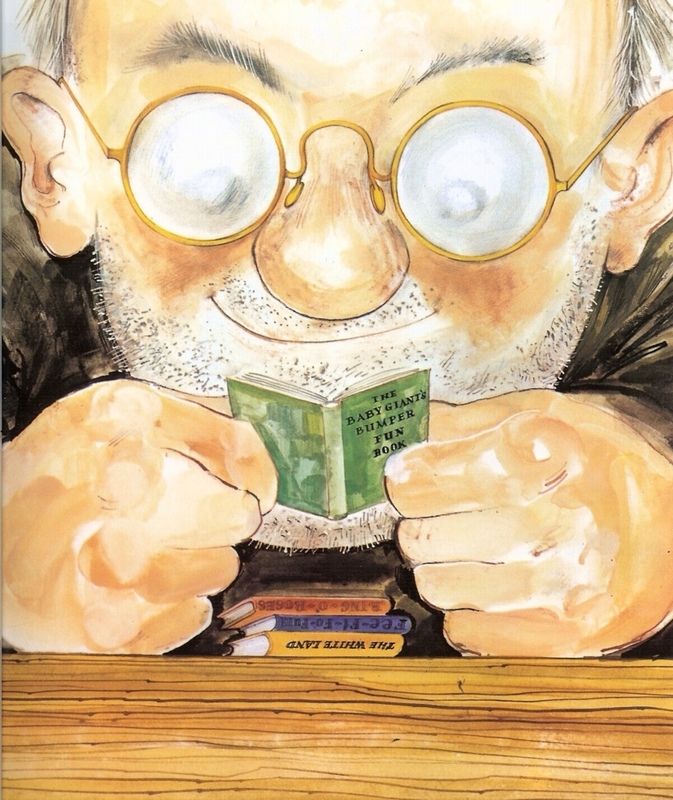 Looking back through the giant's library you can see the development of Briggs' now highly distinctive style. Ring-a-Ring o' Roses showcased his interest in realism. 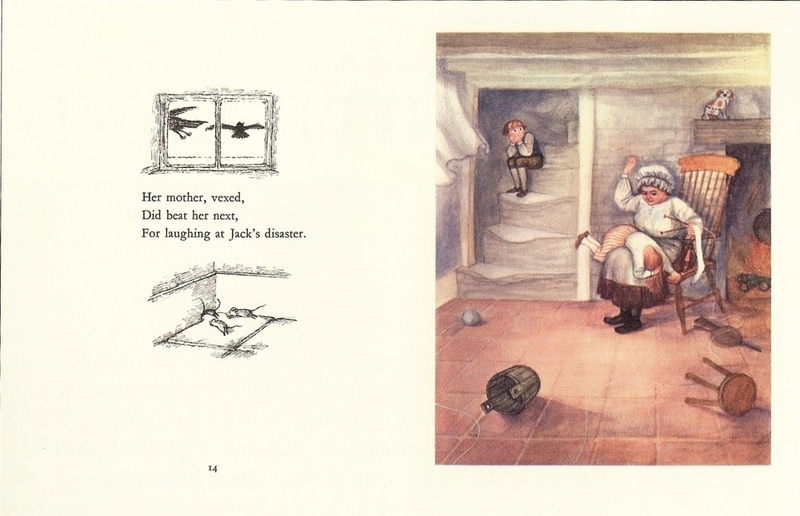 In Jack and Jill he shows us the rarely illustrated scene where Jill gets a sound thrashing for laughing at her brothers injury, and he imagines The Old Woman Who Lived in a Shoe in the manner of a Ken Loach film. 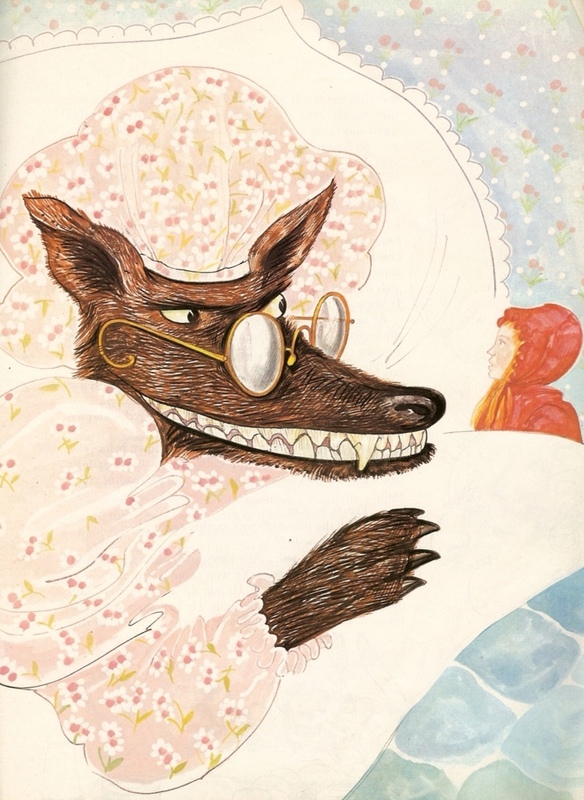 In 1964 Briggs was offered his most extensive job yet – the biggest colour illustrated edition of Mother Goose, ever. 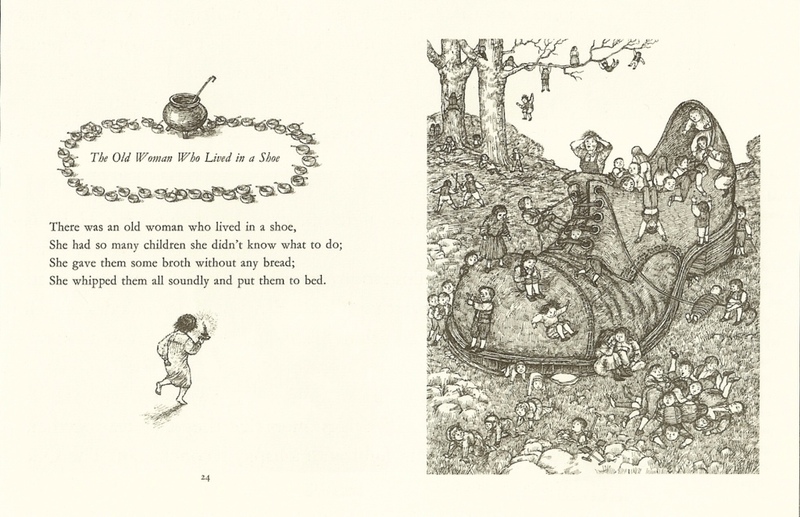 It was based on Iona and Peter Opie's Oxford Nursery Rhyme Book and the 800 illustrations that grace the book's 224 pages took over 18 months to complete. In the introduction to the recent reissue Briggs explains why the form was a perfect match for his view of the world. The new edition is sadly missing a few of the more 'lunatic' moments that disgraced the original edition. Happily cuts like Sing Jigmijole feature in Nicolette Jones' wonderful biography Blooming Books (from which most of my quotes have been plundered). 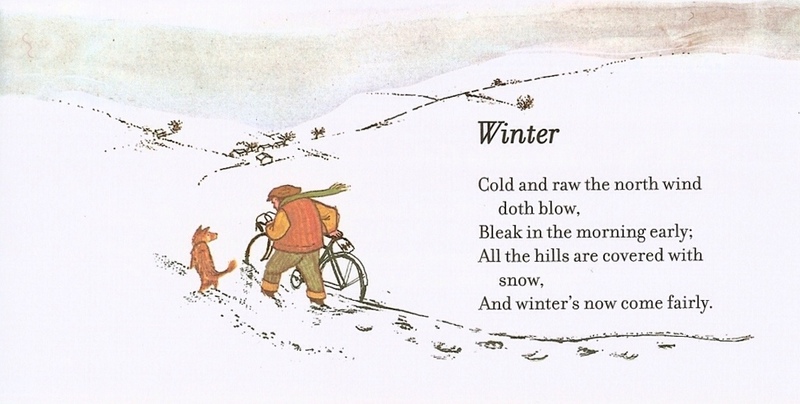 You'd think that having undertaken one such arduous illustrating feat Raymond Briggs might have scaled back his efforts. But no, Briggs's career is a case of ever escalating ambition. In 1972 he was back on the case with The Fairy Tale Treasury, a collection of thirty two tales which if anything were even more restlessly experimental than his previous work. 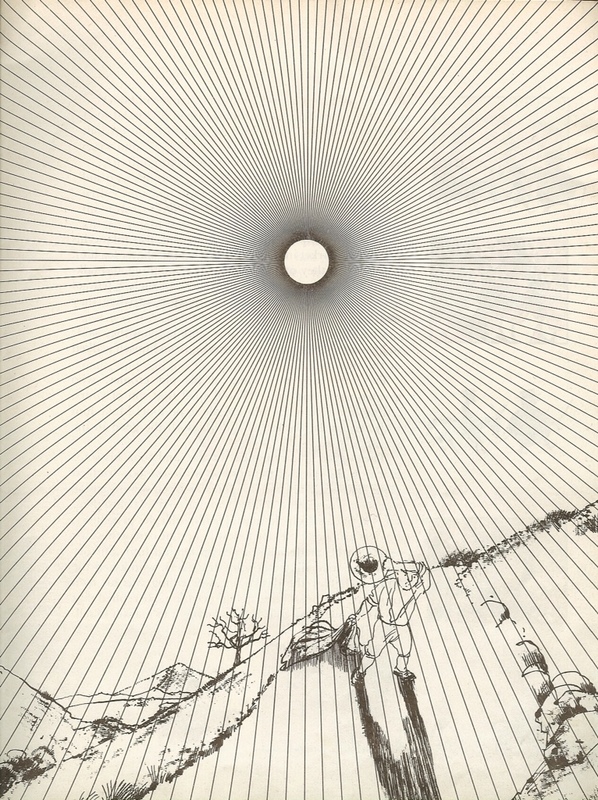 Just look at this incredible Op art take on Aesop's The Sun and the Wind. 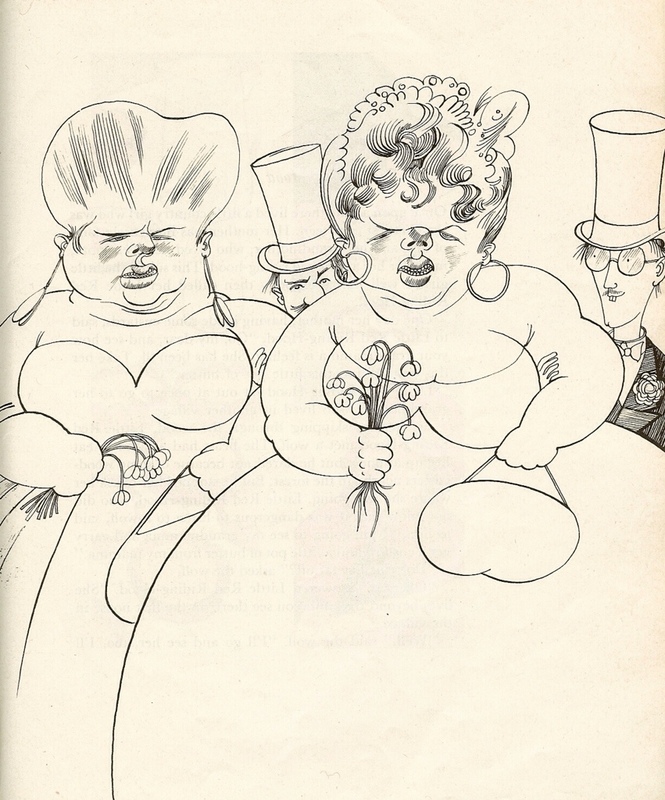 Elsewhere we see perhaps the ugliest of ugly sisters ever (and their dates aren't much better), influenced by the likes of Ralph Steadman and Gerald Scarfe. The Story of the Princess and the Pea comes with soaring vertical lines, making full use of the A4 sized pages. 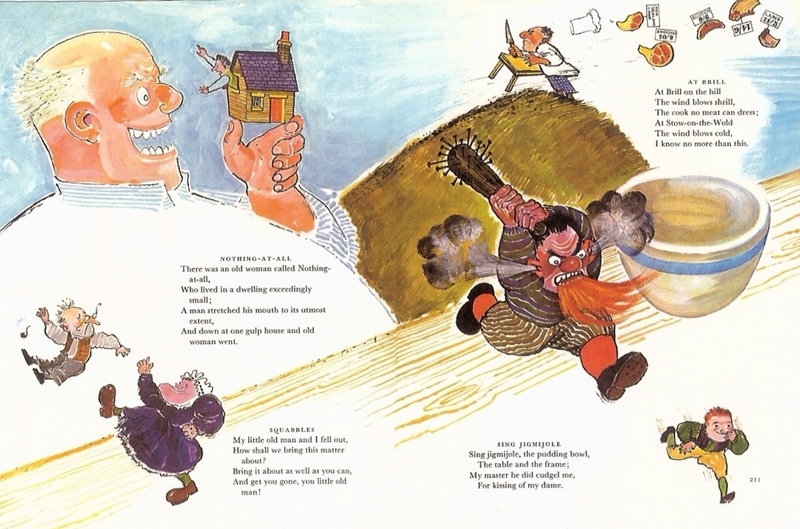 The Fairy Tale Treasury was to be Briggs's last large scale take on fairy tales and nursery rhymes. The following year he produced Father Christmas, a book in which he finally settled on a single style, bound within the strict panel shaped world of the comic strip. In many ways these later works are far more satisfying – and do allow for the odd flight of fancy. But it's also a little sad to think Briggs finally grew out of the riot of ideas he found in nursery. Tags: Fairy, Fairy Tale, Father Christmas, Mother Goose, Raymond Briggs, The Snowman. Bookmark the permalink.